...or give me it!...or give it to me! ? 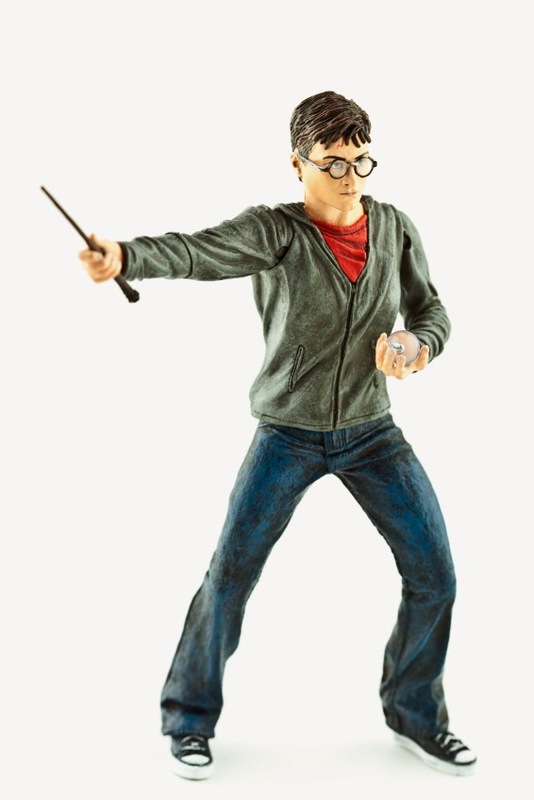 IImagine you are Harry Potter facing Voldemort with the Philosopher`s stone in your hand. The Dark Lord is overwhelmed by a desire to get the stone, so he says, ‘Give it me!’. Would you be confused? Obviously, what he means is either ‘give it to me!’ or ‘give me it!’. What Johanna Gerwin would say about it, having conducted a study on double object constructions of this kind, is that Lord Voldemort is using a dialect form and that he is likely to come from the Midlands. Johanna Gerwin conducted a corpus study to investigate which form is preferred in which region in Britain. The two language data bases she used (the Freiburg English Dialect Corpus, or FRED, and the online British National Corpus) were compiled with a twenty years` time difference, so she could also look at how these preferences changed over time. She was interested specifically in the dialect variants of ditransitives. According to the older corpus, FRED, in 76% of cases, people in all 4 regions (Southeast, Southwest, Midlands, North) used the prepositional variant. DOC and AltDOC were also used alongside PREP, but regional preferences were evident. For instance, AltDOC was preferred in the Midlands, accounting for 27% of all ditransitive constructions, whereas Northerners favoured DOC more than the inhabitants of the other regions (36% in comparison to 11% in the Southeast and 7% in the Midlands). The data from the more recent corpus, the BNC, generally support this, with one little exception. The DOC variant outnumbers PREP in the North, accounting for more than half of all occurrences of ditransitives (54%). Otherwise, the picture is roughly the same. So does this mean that people`s language preferences are static, and never prone to change? The answer is ‘no’, because Johanna Gerwin identified certain trends which indicate the forms people might favour in the future. For example, the overall use of PREP is declining everywhere, with the most drastic plummet from 91% to 54% in the Southwest. This doesn`t mean that people have stopped using the prepositional variant altogether, though. Overall, PREP remains the dominant variant (except in the Northern region), but now other forms are competing with it, such as the DOC construction. According to the recent data, use of this form is increasing in all regions, especially in the North. Actually, DOC is now clearly preferred there. In other words, now people are more likely to use the DOC construction in a situation in which they would have used PREP twenty years ago. The use of AltDOC is also increasing, in the southern regions in particular. So the chances are, in a couple of decades PREP will not be the most frequently-used form anymore. DOC or AltDOC might pop in here and there, and so Lord Voldemort`s order ‘Give it me !’ might sound pretty standard. Gerwin, Johanna (2013) Give it me! pronominal ditransitives in English dialects. English Language and Linguistics 17 (3): 445-463. 2) facial expressions as a means of serving particular functions in interpersonal communication (such as a smile to show affiliation or solidarity). The approach they adopt is the second of these, as they believe that turn-opening smiles, which were consistently backed up by prosodic and lexical features, perform a particular function in conversation. In order to analyse the role that turn-opening smiles play, they video recorded five conversations in Finland between two people as they ate lunch and chatted with each other. Following the analysis of the thirty turn-opening smiles which were present in the data, two main observations were made: a) each turn-opening smile seemed to initiate a shift in the conversation from a neutral/ serious tone to a more positive humorous tone and, b) all of the smiles were reciprocated by the recipient. The first observation highlights how a speaker is able to ‘make light’ of the topic that is being discussed or has previously been discussed. One example Kaukomaa et al. use to illustrate this is an interaction between two female speakers discussing the possibility that a boy that one of girls is interested in may have lied about his age. The discussion in the initial stages of description is quite delicate. However, there is then a silence in which the speaker, who has shown an interest in the boy, smiles. She follows this with a comment relating to how, after you reach a certain age, you are more likely to lie about your age. In this exchange, the smile represents the turning point between a serious or frank tone of discussion to a lighter, more humorous tone, where the girls make light of the boy’s potential dishonesty. The other point of note in this exchange, as well as all the others identified by the researchers, is that the recipient of the smile always joins in and smiles back. However, Kaukomaa et al note that there is a continuum of response times between an immediate reciprocation (i.e. before the speaker has followed up the smile with an utterance) and reciprocation once the speaker has validated the new humorous tone through the content of what they go on to say. These two extremes have implications for the relationship between the speakers as well as the speakers’ relationship to the content of the interaction. For example, an immediately reciprocated smile may indicate that the recipient of the smile trusts that the speaker is going to establish a more humorous stance or say something with which they are likely to agree. On the other hand, a delayed return of a smile may show that the recipient is unsure of the speaker’s intentions, or is waiting to be ‘let in on the joke’ if a story is being introduced with which they are not familiar. In conclusion, Kaukomaa et al. suggest that turn-opening smiles are unlike those facial expressions which are labelled ‘emotional contagions’. These are, for example, smiles which are copied or mimicked automatically. Instead, they perform an important role in the organisation of conversation and emotional projection across subsequent discourse. Can Eastenders affect your language? How many times have you heard television being blamed for a decline in the language standards of young people? Sociolinguists have traditionally ascertained that accent accommodation (adapting your accent to sound more like someone else) can only happen through face-to-face interaction. However, recent evidence is beginning to suggest that there might be something in worried parents’ complaints…. So, both of these changes seem to be linked with the development of Glasgow street style and its visible appearance: wearing tracksuits, trainers with socks over trousers, jewellery and particular hairstyles and especially with trying to introduce elements of this into school uniform instead of conforming to the rules. Speakers who are adopting these pronunciation changes and this particular street style seem to be trying to say, through their looks and speech, that they are ‘not posh’; rather, they are ’cool youth’ and ‘urban tough’. Arguably the most interesting finding was that engagement with TV programmes and especially Eastenders does seem to have an influence on young people’s speech. 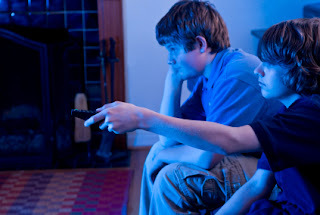 For this to happen it seems to be important that such programmes are not just being watched in passing but are engaged with psychologically and emotionally, usually by criticising the characters verbally whilst watching it, shouting at them and feeling somehow emotionally connected to them. 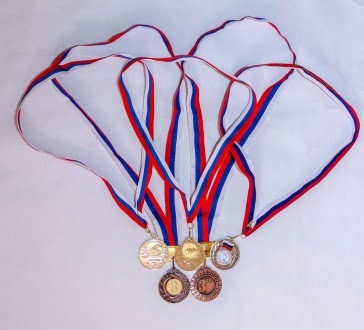 Go on – Flex those linguistic muscles at the 2014 Olympiad! In their article ‘Linguistics at School: The UK Linguistics Olympiad’, Richard Hudson and Neil Sheldon explain why a Linguistics Olympiad (LO) can be beneficial to us all. So, to get your students linguistic fit, read on! An LO is a competition which tests how good competitors are at thinking like linguists. It aims to encourage interest in language and its structure. Olympiads also exist in other subjects, for example Mathematics and Astronomy, and test mental skills and knowledge in these school subjects. However, the difference with linguistics is that, as it is not taught in school, the Olympiad cannot assume any technical knowledge. Instead it requires careful and precise analytical skills on the part of its competitors. The UKLO officially started in 2010 when there were 562 competitors, rising to 1165 in 2011 and 1912 in 2012 (this article was published before the 2013 competition in Manchester). Such popularity proves that the Olympiad is meeting a need. The UKLO committee has created a list of interested school teachers who promote it in their schools and colleges. It is mainly Foreign Language teachers who seem to be attracted to the idea, along with A Level English Language teachers and also a few teachers of Classics, Maths and other subjects. The Olympiad attracts a broad age-range of students due to the way it is organised into different levels of difficulty. Since 2012 the competition has offered three levels: Foundation (for Key Stage 3 students), Intermediate (for KS4) and Advanced (for KS5). (For examples of the questions asked at each level, see Section I of the article itself, and see also http://www.uklo.org which includes past questions with answers and comments). The youngest competitors often enter in groups rather than alone and achieve only modest scores; however, what’s important is that they seem to LOVE the challenge that the competition presents and are keen to enter again. If these students take part in the LO every year until they leave school they will have experienced it seven times – invaluable analytical and linguistic experience surely? Cleverly, the levels overlap each other so that the last few questions on the Foundation paper are the first few on the Intermediate etc., meaning that the competitors at the lower level get a taste of the next level up. Six national winners are selected to go forward to Round Two: a residential weekend, combining training with a final test to select the four who will represent the UK at the International Linguistic Olympiad. So why subject your students to yet another exam/test? Surely they have enough of them already? Well….Olympiads are very different in nature from public examinations like GCSEs and A Levels; they are not bound up with prescriptive syllabuses and can be more intellectually challenging. Having a Linguistics Olympiad is especially important as, due to their being very little formal teaching about language in UK schools, the UKLO provides motivation and reward for beginning to engage with linguistics as a discipline. Furthermore, linguistics as a scientific study of language begins to close the gender gap by encouraging boys to take more interest in language and girls to do the same in science. So what are you waiting for, Jess Suffix, Uncountable Bolt and Modifier Farah? Flex those linguistic muscles and take part in the 2014 Olympiad! Hudson, Richard and Sheldon, Neil (2013) Linguistics at School: The UK Linguistics Olympiad. Language and Linguistics Compass 7 (2): 91-104.